Anime is a bedrock of Japanese pop culture. Blending together the various crafts of graphic art, voice acting, sound engineering, composing, and more — anime is a modern form of entertainment that provides a fun and exciting medium through which to learn morals and important life lessons. A lot of animated films here (just like in the West) are adapted from the most popular manga, comics or books. Sometimes, though, it’s the other way around. 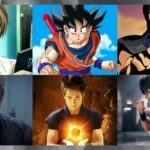 When a particular anime is successful, it can lead to a live action film, novel and even a video game adaptation — never mind the merchandising! 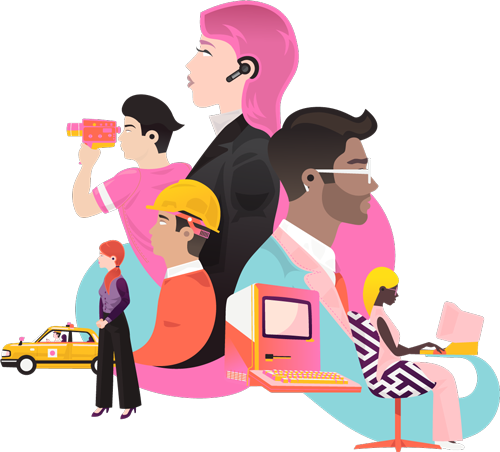 The anime on this list will both help you get a better understanding of Japanese pop culture and give you some common ground to chat with friends, work colleagues, students (if you’re teaching or going to school) and locals in general. For people new to the genre or those planning to come to Japan (short or long term), here are six must-see Japanese anime that every foreigner should add to their watch list. Note: All anime on this list are available in English either subtitled, dubbed or both. You can’t talk about Japanese anime without mentioning Studio Ghibli. Studio Ghibli is Japan’s Disney, a company that produces anime films targeted at children, yet with stories deep enough for people of all ages. 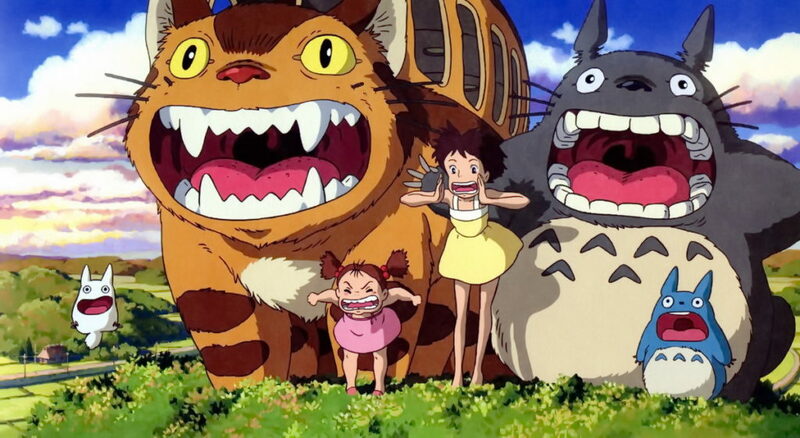 My Neighbor Totoro is a Studio Ghibli film that everyone can enjoy. My Neighbor Totoro is about two young girls who move to the countryside to be closer to their mother’s hospital where she is being treated for a long-term illness. The girls soon discover the area’s forest spirits, in particular one furry, gray big-eyed creature named Totoro. Totoro is a character known and loved by almost everyone in Japan. The film follows their adventures together. Due to his cute and fluffy appearance, Totoro has become a beloved character and an anime mascot on his own. In Japan, you can buy Totoro merchandise almost anywhere. While the film itself is aimed at children, Totoro is a character known and loved by almost everyone in Japan. If you’re coming to Japan to teach English to children — or even adults — watching My Neighbor Totoro and wearing a Totoro necktie or accessory to work is an easy way to get students to relate to you. As well, the Studio Ghibli Museum in Tokyo is a must-see attraction for all anime lovers — especially fans of the studio. Available on: My Neighbor Totoro is available on Amazon. 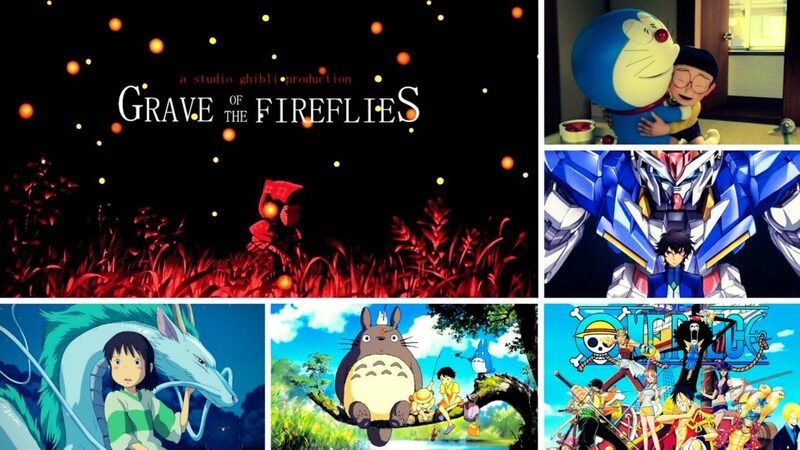 Since there are so many amazing Studio Ghibli films, it’s hard to choose just one for this list. Another way to get a sense of familiarity with students, colleagues or friends is to ask them about their favorite Studio Ghibli film; they’ll likely have more than just one. While Totoro is by far the de facto poster character for Studio Ghibli — and Japanese anime in general — we can’t ignore the record-breaking success of Spirited Away. This film follows a young girl named Chihiro and her parents who become trapped in a parallel spirit world. Her parents are turned into pigs and Chihiro is left alone to fend for herself. She must find a way to survive in this unknown realm, change her parents back to their original human forms and discover a way back to their world. 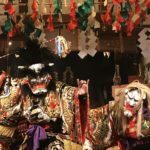 If you find yourself captivated by the world of Spirited Away, you can visit Dogo Onsen, the real-life onsen (Japanese hot spring) in Ehime Prefecture that much of Spirited Away’s setting was based on. Spirited Away’s unique story, beautiful graphics and breathtaking soundtrack captured audiences across the globe, becoming the highest grossing anime film in history — bested only recently by Kimi No Na Wa (Your Name) in 2016. 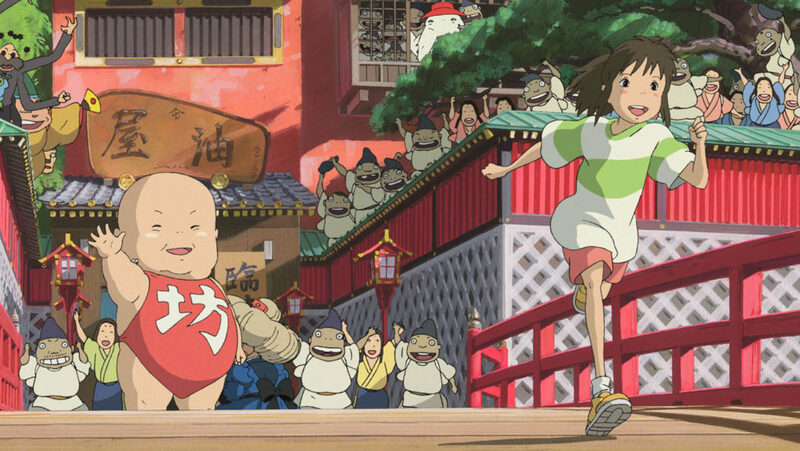 If you like coming-of-age stories or magical fantasies, then you’ll feel right at home with Spirited Away. Available on: Spirited Away is available on Amazon. Put together a misfit cast, a hidden treasure and crazy pirates with special powers and you get One Piece. This story follows Luffy — a boy who gains the power to stretch his body (a la Plastic Man, Elasti-Girl or Reed Richards aka Mister Fantastic — and his wish to become the pirate king and find the holy grail of treasure known as the One Piece. 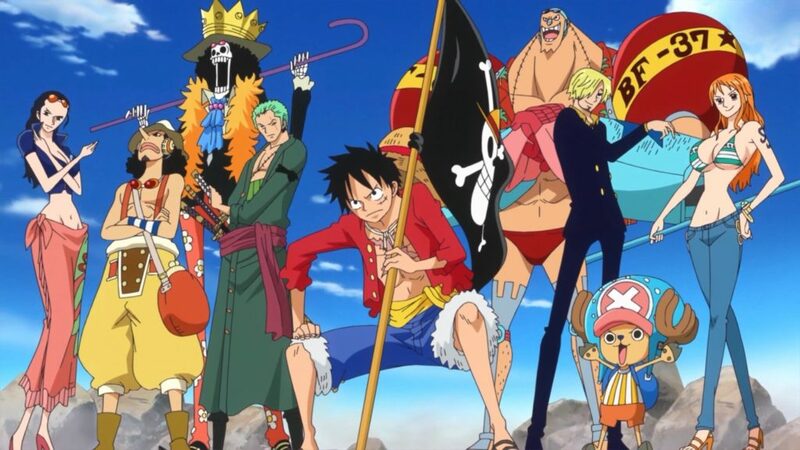 During his epic voyage — one that to date spans over 21 years if you include the original serialized manga, the anime series and the first theatrical release — Luffy meets and recruits a ragtag group of characters to join his crew, help guide his ship and fight alongside him. The enormous success of the long-running One Piece manga spawned the anime series, as well as numerous films and video game adaptations. While classic anime like Pokémon or Dragon Ball may be more iconic internationally, I recommend watching One Piece over those since it’s both more current and more accessible to a wide range of ages. I recommend watching One Piece […] since it’s more current and more accessible to a wide range of ages. During my teaching career, I’ve spoken to various Japanese people from middle-aged salarymen to elementary school students and all of them have either heard of One Piece or watched the show and read the manga religiously. So, if you’re coming to Japan and want to have some common ground to converse or socialize with Japanese people of all ages, watching a few episodes of One Piece would be a great place to start. Available on: One Piece is available on Amazon. Doraemon is a robotic cat sent from the future to help a young student named Nobita get through the rigors of elementary school life, fight his bullies and win the heart of his crush, Shizuka. While this anime hasn’t really taken off in the West, Doraemon is one of the longest running children’s television series in anime history, first broadcast almost 40 years ago. Doraemon is so popular that a new Doraemon film has been released every year for over three decades and the series shows no signs of slowing down. Doraemon episodes and films feature silliness, cute characters and funny situations that appeal to young audiences. 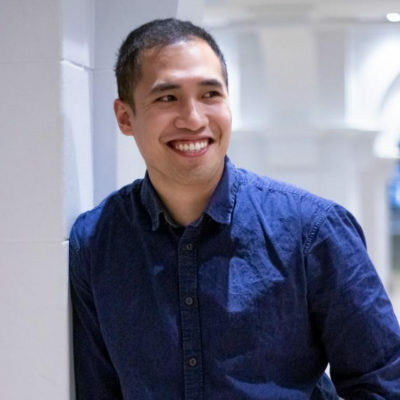 However, like many great children’s films and television series, Doraemon is simple enough for kids to understand, yet profound enough for adults to enjoy as well. 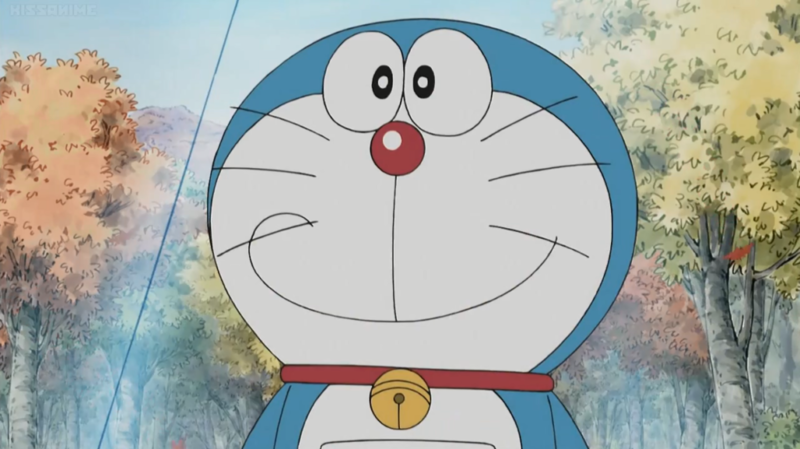 Doraemon is one of the longest running children’s television series in anime history. The critically acclaimed and animated 3D Doraemon film Doraemon Stand By Me (2014) was one of the most touching films I’ve seen — either anime or live action. Merchandise and products for Doraemon are everywhere in Japan and at first, I was hesitant to give this one a try, due to its highly immature and childish appearance. I couldn’t have been more wrong. I strongly recommend everyone who hasn’t watched Doraemon to start with Stand By Me. Available on: Stand by Me Doraemon is available on Amazon. Following a galactic war between Zeon and the Earth Federation, Mobile Suit Gundam is one of the most beloved sci-fi anime of all time. With themes of war, friendship and love, numerous installments of the Mobile Suit Gundam series are truly spectacular works. A franchise that began in the late 1970s, Mobile Suit Gundam is just as prominent and popular today as it was 40 years ago. It is adored by Japanese and people from all over the world. Many travel to Tokyo just to take a picture with the giant Gundam statue in Odaiba or to purchase exclusive Gunpla (Gundam plastic models). If you love Star Wars, mechs or sci-fi in general, then Mobile Suit Gundam is the anime for you. Due to the incredible success of the franchise, various anime series, films, manga, novels and video games have been created within the Mobile Suit Gundam universe. The Gundam toy line and Gunpla have become popular enough to make up an industry on their own, taking up a niche part of toy collecting subculture all over the world. Some collectible Gunpla can be sold for hundreds of dollars on eBay or at trade shows. If you love Star Wars, mechas or sci-fi in general, then Mobile Suit Gundam is the anime for you. 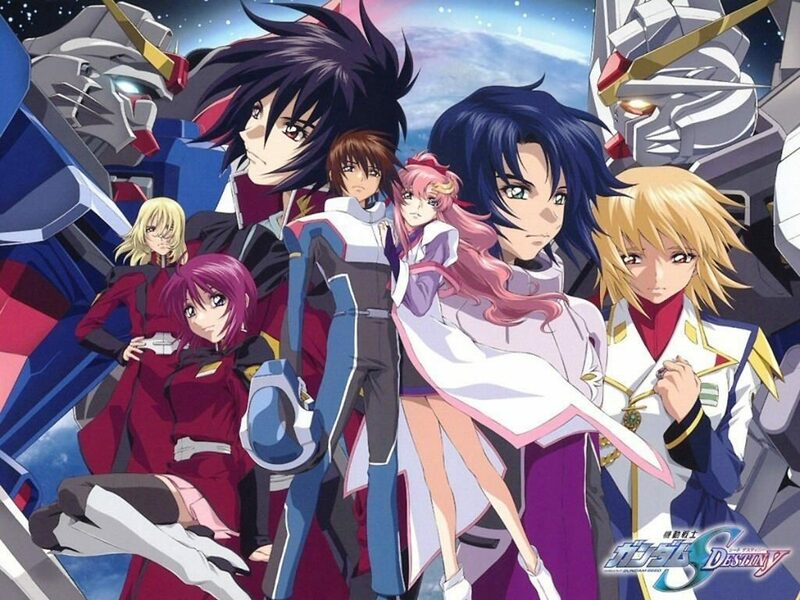 While there are numerous titles across different media, Mobile Suit Gundam Seed Destiny is a good place to start for those new to the series. Available on: Mobile Suit Gundam Seed Destiny is available on Amazon. 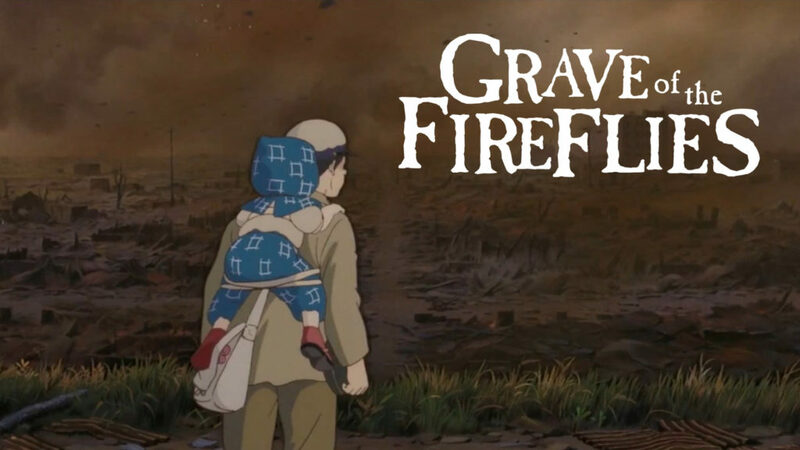 The most serious, most emotional and most tear jerking title on this list, Grave of the Fireflies is a historical anime that depicts the tragic aftermath of the firebombing of Kobe and the atomic bombing of Hiroshima in World War II. While the film was not directed by the acclimed director Hayao Miyazaki (My Neighbor Totoro and Spirited Away), Grave of the Fireflies was also produced by Studio Ghibli. When we think of anime, usually we think of Disney films or Pokémon — things that aren’t super serious in nature and are thought of as specifically aimed at children. Because of that, some people don’t take anime seriously as an art form. If you’re one of those people, watching Grave of the Fireflies is guaranteed to change your mind. In Grave of the Fireflies, the art style is simple, the colors are dull and weathered. Burnt corpses cover the ground like charred logs in a fire. Starving children sit forgotten and dying in train stations. Innocent citizens stand in the road, looking at the ashes of their childhood homes. … the saddest and most depressing anime I’ve ever watched, but at the same time, it’s the most important. In the midst of it all is a young boy trying to keep his little sister alive after their mother dies from burns sustained during the bombing. Grave of the Fireflies is by far the saddest and most depressing anime I’ve ever watched, but at the same time, it’s the most important. This film is a testament to the repercussions of war and a reminder not to take peace and your life for granted. After watching this film, it broke my heart to look around the lush mountains and peaceful villages of Japan and think that the relatives of these people suffered such a tragedy. 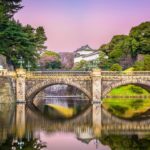 However, it also made every breath feel fresher and led to an even greater appreciation of the Japanese culture, its resilience and the natural beauty of the country. Available on: Grave of the Fireflies is available on Amazon. Truly great anime can make us laugh, make us cry and take our breath away. Like all great works of art, it can be inspiring, truth revealing and cathartic. What anime took your breath away? Do you have and recommendations of your own? Let us and our readers know in the comments below!